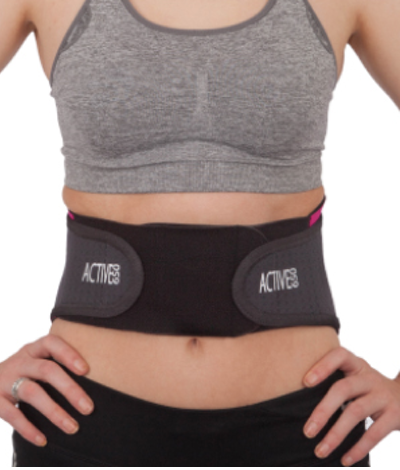 Lower Lumbar and Back support for use under clothing or during activity. Sometimes, when you’ve been on your feet for a while and your back starts to ache you feel like you need something extra to help you get through to the end of the day. Not a great big corset-type support that trusses you up and restricts your movement, just something extra that will allow you to move freely and in comfort. 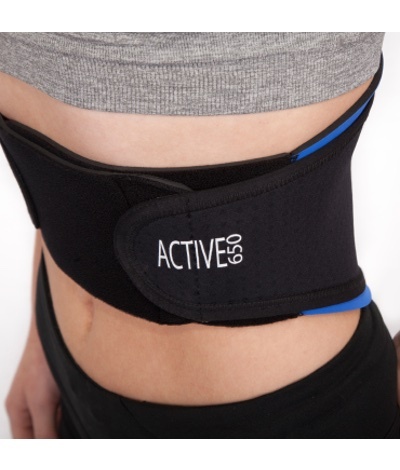 The Active650 Back Support has been designed to help you. By providing support and warmth our Back Supports set new standards in comfort and can be worn under clothes for longer periods of time or over clothes for temporary relief whilst doing a particularly awkward job. 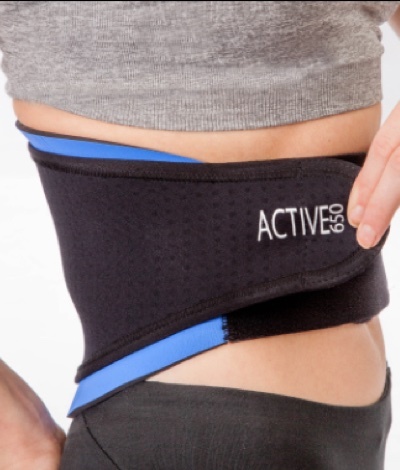 Whether you are standing, lifting or walking, the Active650 Back Support will give you the relief you’re looking for. If you measure on the border please select the next size up. Hold it if it Hurts! Whether it’s a bump, a strain, a muscle tear or even a broken bone, what is the first thing you do when you hurt yourself? You immediately grab hold of the bit that hurts. The management of the injury over the next hours, days and weeks may well differ but everyone’s initial reaction to pain is the same: clutch it, cradle it, hold it. Quite simply, we don’t know. Theories range from affecting the pain receptors to providing a tourniquet-like effect for nerves and blood vessels to isolating the damaged structures and preventing further movement. Whatever the reason is, we all do it. 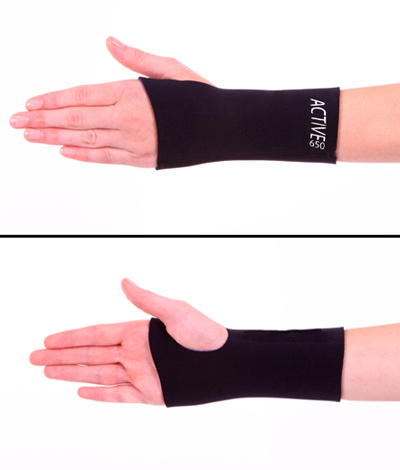 Clearly, it would be impossible to spend all day holding your injury, which is why we at Active650 have come up with a range of super-comfortable supports that clutch, cradle and hold for you. You get on with your life while Active 650 holds the bit that hurts! 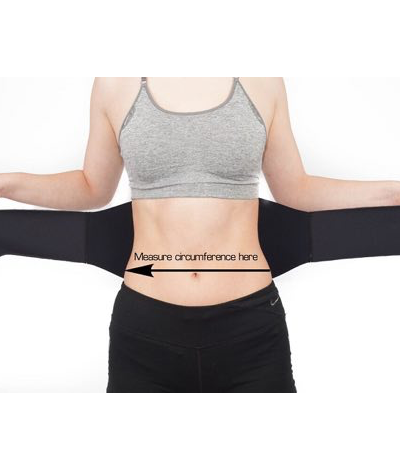 Please measure around the level of your belly button.